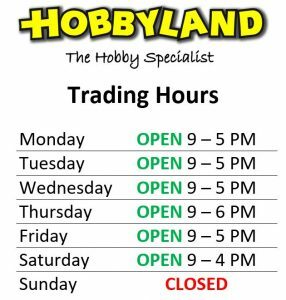 Hobbyland Australia – A Shop with a Huge Range. We retail a large variety of items including Slot Car Sets, Plastic Model Kits, Wooden Boats, Educational Kits, Model Trains, Remote Control Cars, Helicopters, Planes, Boats and the accessories required to build or repair your models at competitive prices, with postage to anywhere in the world. We are located in Sydney, at Hornsby on the Pacific Highway. Easy travel access from Public transport by Train and Bus from Hornsby Station.